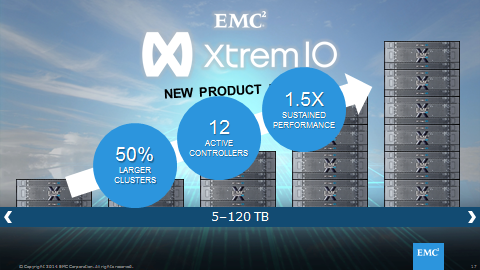 XtremIO 3.0–Why Scale Out matters? 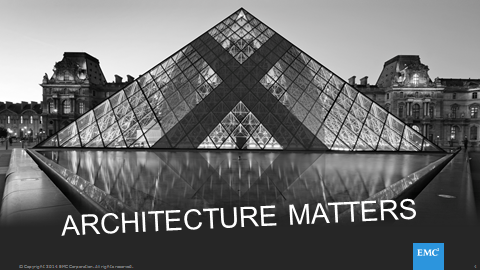 but here’s another twist on the same topic, XtremIO is a true Scale Out based storage array, that means that with every X-Brick you are adding to the cluster, you capacity grows in ADDITION to the performance, this is done because each X-Brick contains two true Active-Active controllers. 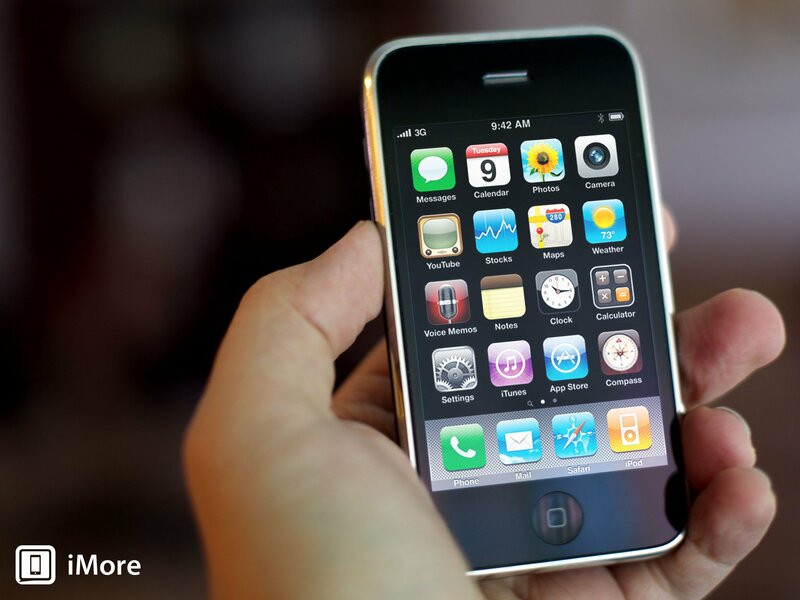 enter the iPhone 3Gs, that was the first iPhone I owned and for the time that it came out in, it was GOOD Enough. the apps were snappy and IOS in inteslf was pretty responsive. 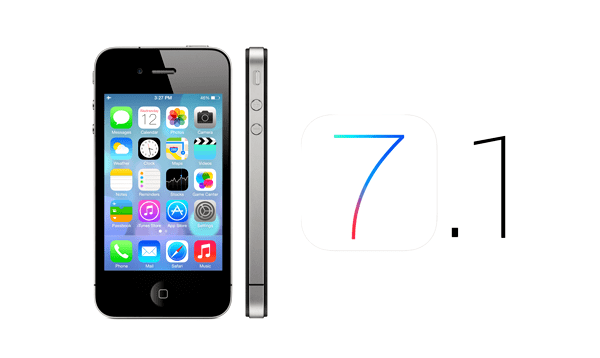 Apple introduced the iPhone 4 and gradually, my iPhone 3Gs became outdated, it actually became SLOWER and things like my mail app and in general, IOS itself became slower and that begs the questions, WHY?? the reason is simple, we are living in an era where performance is a relative term and the moment a new piece of hardware comes out, the developers who write applications for this hardware, quickly leverage it and they leveraging the new performance capabilities of the new, more performing hardware. 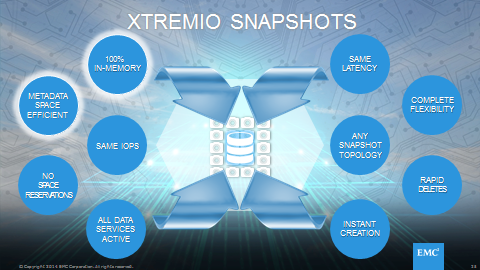 ok, but how is this related to XtremIO 3.0 and more importantly, snapshots?? well, think about a production DB, it can be other environments as well but just for the sake of the example, let’s stick with a DB. in many cases, many spinning drives will be needed just to accommodate the performance needs of the core DB and if you are starting to talk about cloning your DB, the operation itself takes a lot of time and more importantly, consume so much more space which result in many cases of actually limiting the numbers of DB’s clones you can offer. 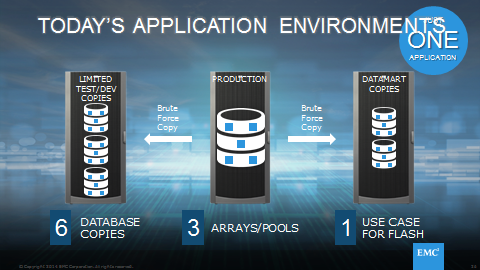 dedupe and compression are data reduction technologies, they will definitely assist in lowering the footprint the core DB and it’s clones will consume but how do you drive the IOPS / Bandwidth for all of these clones?? XtremIO Scale out from the (new) Starter X-Brick to 6 X-Bricks (12 Active-Active controllers) which you NEED to leverage all of these copies, so now you can actually do very interesting things like giving each developer it’s own DB instance!